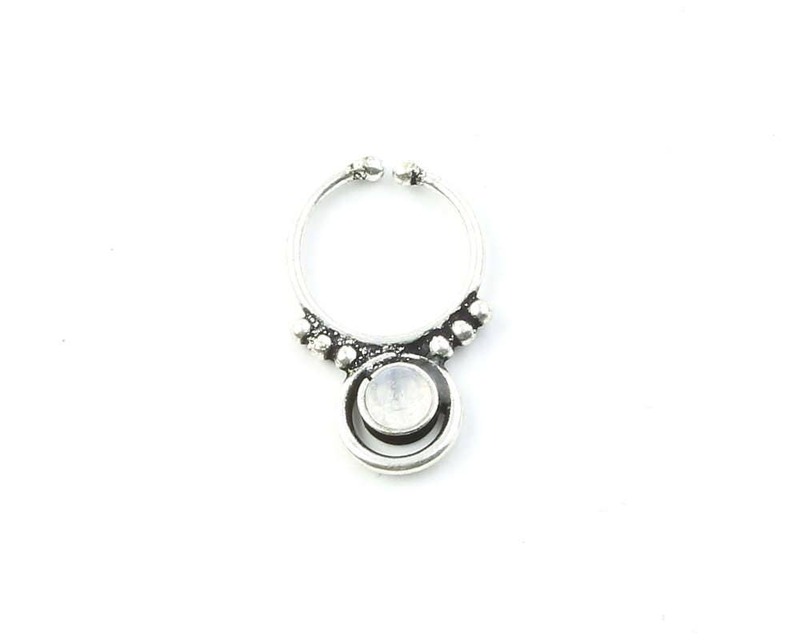 Tribal, ethnic, delicate design featuring dainty gemstone. Thickness: 1 mm /18 gauge. 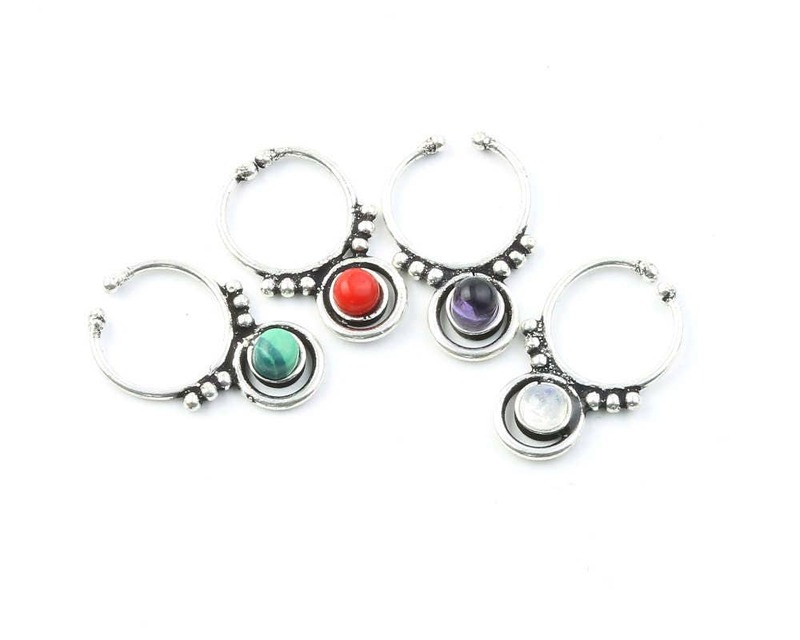 Note: You will receive one septum ring.